She became a mother and raised children. She fell in love and got married. She wrote a lot of poetry read a lot of books. She even wrote a few. She held several full-time jobs at one time or another. Then, one by one, many of the manifestations of importance in her life grew up and moved on, fell away, or got too messy to maintain. As things left, she sought new things to do. But she couldn’t remember what her inner little girl had dreamt of doing in the first place, when she finally had the time to consider it. But her truest identity as Daughter of the King won’t be shushed for exactly that reason….time is precious. Now, in midlife, she is finding that she has been considering God from a place of paralysis….so afraid to do the wrong thing, she does nothing at all. Take action, God says. I will bless it if it’s the right thing, and if you are wavering and need to be corrected, I will restore gently. Either you win or you learn, but operate from a place of Love and move. Step out. Time is only finite, but here’s the thing….it bends to the Creator. In the tenderest places in her soul – the ones where the King keeps as storehouse for that crazy Grace of His – He keeps reminding her of the truth. That she is kin to The Dream-Maker Himself, and is more than free to ask Him for new dreams. He delights in His children! That she is still on a mission, with the benefit of experience to move forward expecting great things. That this season is a time for exploring and listening, not being plagued with identity crisis. Satan is the author of confusion and the enemy of clarity. That she is not ‘past her prime’ and done with her purpose until she stops asking “What’s next, Papa?” He placed the dreams in her heart for a purpose in every life stage. That even though the world has gone mad, God keeps her full of Grace on every occasion. He does not finance her life in a deficit. That it’s not too late. It’s never too late! Do the things, Daughter! Do them with joy. I have come that you have life to the FULL. Once upon a time there was a woman approaching 50 years of age, and God gave her a little extra time to figure out who she really is. In this new season, she is grateful for that. Time is finite. Lord Jesus, help me to make my portion count. Let me use up everything you give me, every bit of talent. Amen, Sister-Girlfriend. The world would be a much better place. Do you remember the first Christmas that we became friends? Our daughters – now freshmen in college – were fourth-graders who had just declared themselves Best Friends Forever. I was a struggling, single mom, just having divorced my children’s father after fourteen years of marriage. My little girl was having a terrible time. I got her a good therapist, and tried to calm her fears of loss, which were pretty well-founded. What she really needed was a very good friend. Your daughter was that very good friend to her. It was a horrible, awful time in my life. I was working four jobs to feed my girls after being a stay-at-home mom all of their lives. They became latch-key kids. I became a hot mess from the guilt. When we first met, I was holding on to my four-year-old sobriety by a single thread, it seemed, and living on high anxiety. You invited me over anyway when the girls were having a play-date, serving coffee (and, I’m certain) sweets. You asked questions that nobody else had bothered to ask, and didn’t judge me when I answered honestly. Sometimes when you stop trying so hard, God makes mystical things happen. Like our friendship. At the time, you were wary of organized religion, and I was wary of everything. But in your guest bathroom, you had a display of decorative crosses. Every time I went to the loo at your house, I thanked God for you and your kindness. I prayed that you would trust Him again, even as I struggled to trust Him myself. Yes, on the loo! I can tell you that now, all these years later. That Christmas, I sat with all of our girls while you went on a date with your hubby. Before you departed for the evening, you gave me a pretty little wrapped gift box, and instructed me to open it when you left. I did, and it was a lovely new wallet. When you came back home, I thanked you, and you said that I should make sure to look inside of it. Folded in the zipped compartment was a hundred-dollar bill. “Get your girls a little something for Christmas,” you said, like it was not a big deal. It was SUCH a big deal, Melissa, to fill the girls’ stockings that year. Such a big deal. Little did I know that praying for you on the loo would be the least of what we would come to discuss as our friendship deepened! No subject was off-limits, no pretending to be who we were not. No pretense, all acceptance – what a wonderful foundation for a friendship. I have to tell you, my friend, throughout the storms, you were my safe place. And always – even if there were tears – laughter was ultimately the order of the day. We are pretty cool that way. Over the years, we have really been through it together, have we not? With six daughters between us, holy cow – have we ever! Teenagers and all the stupid stuff they do. Teenagers and all the awesome stuff they do. Through a divorce and a new marriage (both mine) you were such a support. Through your steady marriage, you taught me so much. When our husbands drive us bonkers, we have a kvetch session, and are a-okay again. When our kids drive us bonkers, well … together, we find the strength to soldier on. We’ve done the Mom Circuit, and weathered the “Mom, leave me alone!” syndrome. Between us, we’ve done new careers, and unemployment. We’ve threatened to write a book together – which, incidentally is still TOTALLY happening! Most meaningfully, when my own family members high-tailed it out of my life, you ran towards me. You and I …. we’ve had spiritual crisises and awakenings, stumblings and triumphs. And shared with honesty every experience. We discovered together that we are NOT orphans after all, but beloved daughters of the Most High King….princesses, really! And that makes us sisters. Family. 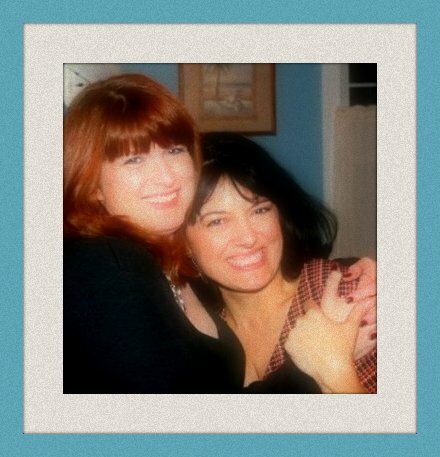 Even our husbands became MFFs (Man Friends Forever…please don’t tell them I said that,) and our daughters as close as any siblings. Your love, prayers and steadfastness have helped keep me sober. Honestly, I doubt I would have maintained it without your support. In the midst of building this friendship, you had a revolution in your spirit. When God lit a fire under you, he used spiritual kerosene! Girl, you were on FIRE, and you are still on fire! It is one of the most beautiful things I have ever been witness to. A spark from the heart of Jesus himself caught the hem of your garment, and you just had to serve Him. You served Him by helping other women, like you helped me. By genuinely loving them – fiercely. From it came additions to the sisterhood – the WAYwards – and lots of tears and laughter. And laughter came in handy during the difficult times. Several years ago, when I got sick, I stayed sick for nearly three years. It was another awful, dark time in my life. Chronically fatigued. Endlessly in pain. And with no answers in sight, living on high anxiety once again. For three solid years, I fought numbness, pain, fatigue….every single day, and bitched about it plenty. My complaining and frustration had to have tested your dedication! But you listened every time, and never gave up. You prayed for my health fervently. Sometimes, when I was in the middle of exhaustion and complaint, you would just extend your right hand toward me and pray so hard that we would both cry – even when I was right in the middle of a bitching session! It’s hard to be hopeless when someone is that dedicated to asking God to help you. But sometimes – when you stop trying so hard – God makes mystical things happen. Because you see, what I really needed was a very good friend. You were – and are – that very good friend to me. All these many years later, how many cycles have we gone through !– Distrusting organized religion, and calling on God. Trusting God, and being there for each other. I’m so grateful for you. Thank you for all the times you still give me encouragement (and chocolate) and for being my “nothing is off limits” sister. When I think about who you are and who you’ve become, and all God has in store for you, it brings me to my knees. When I pray for you, I ask God to take that beautiful, bright, effervescent and glorious spirit of yours and just unleash it on the world in a way that brings him glory. I pray that the same joy your spirit brings me gets unfurled on the world, and comes back on you like a tidal wave. I never forgot the Christmas that you folded a Benjamin in the gift of a new wallet … so that I could give my daughters a Christmas. But more importantly, I never forgot that you reached out to this hot mess girl, that you went out of your way to be kind. I never forgot that you treated my frightened, maddeningly insecure and hurting fourth-grade daughter like your own. Now a confident – gregarious, even!- young woman, she never forgot your love, either. I love that you never stopped praying for my healing. I love your heart, that it breaks for hurting people. It was a beautiful thing to do for an old friend, to teach me that prayer. I love you with all my heart. Thank you for being a friend. Thank you for being family. It sure has been a difficult time lately, with losses and goodbyes for my family, challenges and changes, and much “waiting upon God,” even when it feels like he taking kind-of a long time to lead us where we need to go! And usually, I cover pretty heavy topics on thebeggarsbakery.net – alcoholism and addiction, parenting teens, marriage, health woes, etc. So, in a departure in what I usually write about, today’s piece is a Humor Column. Years ago, before so many heavy things, I had a humor column in a tiny, local paper – and it was ridiculously fun. This article addresses one of my passions and pains: food, and trying to understand and achieve health, after so many years of taking abysmal care of myself. I hope it makes you smile, at the very least. Please feel free to share the link with any middle-agers who are struggling with the same issues, and GOD BLESS you and yours. I so appreciate your readership! George Carlin once said that “death is caused by swallowing small amounts of saliva over a long period of time.” But if your spit doesn’t do the trick, swallowing small amounts of food will surely cause your demise. b) Cause the release of panic, the likes of which have not been felt since the release of the flying monkeys in The Wizard of Oz. Why keep studying consistently inconsistent results? Personally, I think it’s because the more it is studied with federal funds, the more the government can regulate our lives – but that’s a column for another time. Today’s topic is about an unfortunate rite-of-passage for many of us in our forties: The Talk about Nutritional Health, when our doctors, lab results in hand, confront us on our past misdeeds and suggests that there are damage-control measures available to counteract those earlier misdeeds. 1. Eat sweet potatoes, but not in pie-form, and certainly not with butter, sugar and cinnamon. No, wait. DON’T eat sweet potatoes! A sweet potato is just a starch masquerading as a Vegetable of the Highest Order – a colorful vegetable. And if you must have one, eat it raw. Studies show that once you cook a vegetable, you completely ruin the nutritionally value. You might as well eat it in pie-form….Which, I usually do. 2. Fruit is the healthiest food group there is – packed with nutrients. Until you swallow it. Most fruits are converted by your body to SUGAR, and your endocrine system doesn’t know the difference between a bunch of grapes and one of those pixie sticks that is two feet long. Unless the fruit is colorful…. In which case, it becomes a two-foot-pixie stick with a few antioxidants. 3. Drink cranberry juice, and your urinary tract will thank you. Oops….studies indicate that you should stay away from cranberry juice. Because the sugars it contains (see ‘fruit’ above) can CAUSE a UTI. 4. Nuts and seeds are awesome*, and not just because they are central to the “What Would Jesus Eat?” diet and Jesus Himself is awesome, but because they are full of the protein your body needs to function as a fat-burning machine! Except that all of the good-tasting nuts are actually pretty fatty. Go figure. 5. A glass of red wine** each evening keeps the doctor away. Unless you’re an alcoholic like myself. In which case, the doctor won’t need to visit because the coroner will beat him to it. 6. Eating meat – especially the red kind (color is not a benefit here) – is terrible for your health. You should consume ONLY the things that your meat would have eaten, if you hadn’t savagely killed it for food. You know, root vegetables and such. Sweet potatoes. Scratch that. Eat ONLY meat, like our cave-man ancestors, and only the way they ate it – cooked over an open, stucco fire pit with a side of something they might have purchased at Whole Foods after a long day of dragging women by the hair. 7. The malevolent CARBOHYDRATE***, which virtually all studies agree is the most evil form a calorie can channel. Do you think the ancient peoples had pasta-makers? No sir, they did not. So forget spaghetti, a member of the most malicious menu malady a meal can muster. Rice, potatoes, pasta – all in cahoots to hijack your metabolism and take the slow ride to an early grave. Don’t even think about that tortellini! It’s a cheese-filled pocket of death! 8. 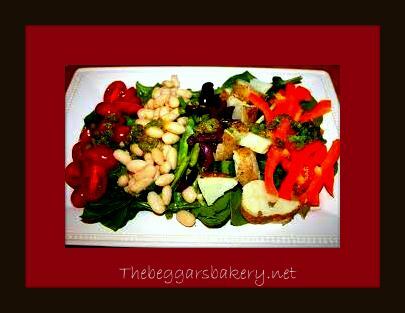 Salad is the anti-carb…..so very good for you! The more colorful and expensive the lettuce, the better. Unless you like it with flavor. Take, for instance, blue cheese dressing. You could, instead of eating it on salad, just get a super-large syringe (I like my blue cheese chunky-style) and inject it directly in your arteries to get just the same benefits as digesting it. Luckily, many creamy salad dressings contain dairy, and studies show that…. 9. Dairy prevents belly fat. 10. If you have blood-sugar issues, diet sodas are much better to drink than regular sodas. Although, in test groups, diet sodas had the same effect on teeth as the meth. Yes, you can get “meth mouth” courtesy of carbonated beverages! Diet sodas also contain a chemical that basically turns to formaldehyde in your body, a chemical used in the embalming process. The. Embalming. Process. 11. Ahhh, caffeine. – beloved purveyor of eternal life and heart health, and seemingly-harmless-delivery system for a mood-altering, STIMULANT DRUG! Hello? So, so much study on caffeine. The common drug is the darling of federally-funded scientific research. Pages and pages, and reverse-studies and warnings and….I need another cup of coffee **** to even THINK about it. UNLESS, it is transformed into DARK chocolate, which many studies show not only is excellent for your body, but practically gives the same cardiac benefits of having the heart of a 21-year old triathlon-participating vegetarian transplanted into your tired, old, flabby body! But wait, chocolate contains caffeine, which studies show……. Is really good for you! Or a mind-altering, stimulant drug….you shameless junkie. 13. .Well, at least everyone can agree that drinking MORE WATER is essential to good health. Yesiree. It cleans your system, lubricates your joints, and is the life-force. The God-given, liquid verve-maker. Studies show that when you turn on the tap, you unleash a cascade of chemical compounds and a mélange of micro-organisms. Our waste is contaminated with tons of chemicals to ensure our drinking safety! Not to mention naturally-occurring micro-organisms (your “oli’s” and “ella’s”….. e-coli, flagenella, barbarella, etc.) Bottoms up! With all this information to consider (Thank you, Federal Government!) don’t forget about the other, equally disturbing facet of middle-aged damage control: Physical Fitness. It’s not too late, fellow Old Farts! Never mind that it will take MUCH more effort to obtain a MUCH-lesser result, and that your reward will not be the same as it was “back in the day.” It may not make you “hot,” but you’ll live longer, as an old, not-hot person. The reward is life, itself! No….WALKING is the best exercise. Primarily a program for young people (so says me), participants will often try to recruit we 40-plussers. You’ve been warned. As my daughter would say, I don’t EVEN! Yes, swimming is best. Unless you do it outdoors. Are you trying to kill yourself with UV rays? Unless you think you might ever leave the yoga mat. If you plan to strike a “standing” or “walking” pose (for approximately ever) be wary. If your Yoga class or fitness video touts itself for “Beginners,” keep in mind that they are referring to beginner contortionists…not you, and surely not me. So, in conclusion….I think George Carlin was pretty astute in his observation. Eat and let eat, I like to say. Walk and let walk. And study and let study, if you must. And be quick about it…I’m swallowing small amounts of saliva, as we speak. ** You can drink wine by the single GLASS? ***There is a best-selling book titled, “Bread is the Devil.” Really. *****Also really good in pies.